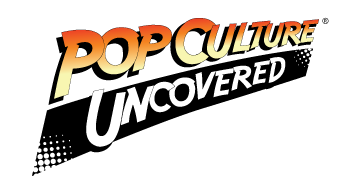 I wonder what this new issue of Archie could be alluding to? Prepare for the easiest mystery in Riverdale, so easy that detective Jughead could solve it. This issue makes quite the heavy-handed homage to the Riverdale series by involving Jughead in a Blossom-themed mystery. 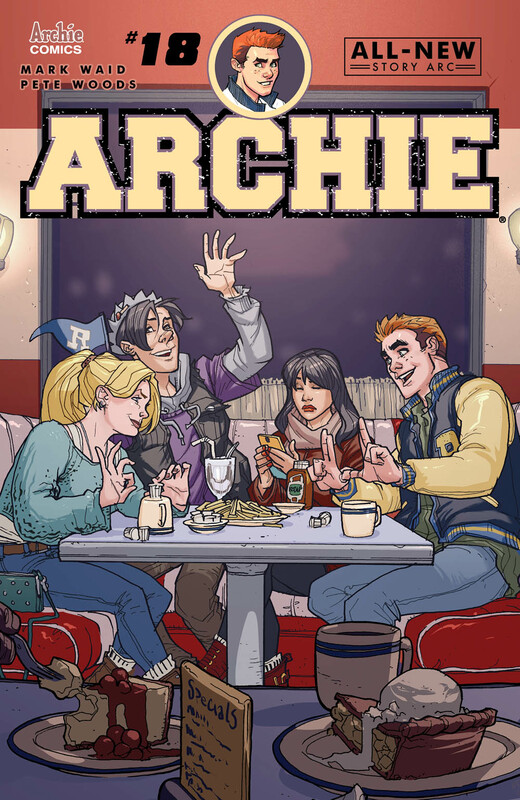 The rest is relationship drama as Veronica and Archie are reunited and Betty hangs with… Dilton?! I must say that this issue seems to plod along more than any of the previous issues. It could be the combination of the new art and the hard nod to Riverdale, but it also seems like something is off with the story. It feels like we have the formula- teens being teens equals drama, but none of the heart. We all know Archie and Veronica don’t make sense as a couple. We all have for 75 years, stating the obvious doesn’t need a whole arc. The only relief from this dragging part of the issue was the physical comedy bits, but nothing could save the what seemed like a psychological case file on relationships rather then a story. I also found Dilton and Betty’s story confusing. Dilton likes Betty. Betty likes Archie. Betty and Dilton find out they have something in common. But Betty politely declines Dilton. Then, Betty changes her mind. Why?! It felt forced. Betty and Dilton can enjoy something together as friends without any romantic feelings; it happens and it just doesn’t seem like enough for Betty to change her mind about how she feels about Dilton. More then that it seems to set up a toxic precedent, that if a girl rejects you… just wait. It just felt like the kind of story we should’t have to see anymore. All I have to say on the Jughead and Blossom story is… WE GET IT, RIVERDALE! Guys, I LOVE Riverdale. Thursday is now my favorite day of the week but I like that the comic and the show just the way they are. They don’t need to meld into one super thing. Two separate pieces of art are good and fine; and separate just the way they are. So once again, we have a new artist. Pete Woods fits into the mold of the reboot artists. He plays at some basic realism while mostly maintaining an overall cartoonish look. I can’t say that he is my favorite (that honor so far belongs to Veronica Fish) but he doesn’t throw me off the book. I don’t like the way he drew Jughead this issue, but again, that was because it felt like too heavy a Riverdale reference. I’m not going to speculate on anything but why does this book change artists so much? Overall, I’m disappointed with the issue. It’s a new art team and a new arc so it’s going to take some time to work out the kinks, and I’m totally willing to stick it out since this book has been a must read for so long. However, I hope next issues stories are a bit more enjoyable. 2.5 months of free burgers out of 5. I'm just a dude in my 20's that likes to rant about stuff I like. Mostly comic books and animation. I'm also making my own stuff.